Australian singer and song writer Julia Messenger - www.juliamessenger.com - is building a solid international name for herself. Born and raised in Melbourne, Julia has so far spent 15 years touring and singing around the world particularly in Europe and the US - and developed her unique vocal style. In the late 90's she graduated with her Bachelor of Music Degree from the Melbourne Conservatorium in Opera at the top of her class. 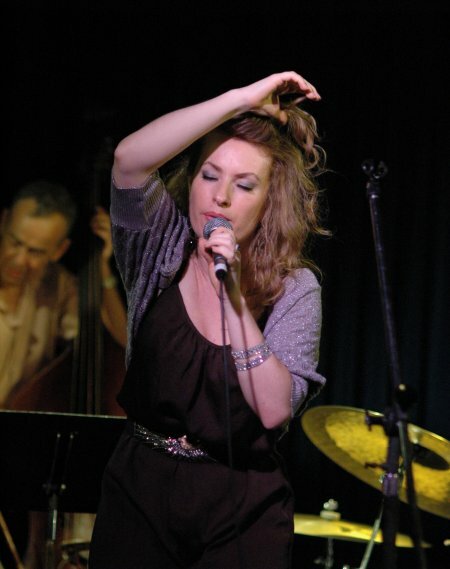 Unique to Julia is the fact that she sings well in a diversity of styles, and recently she has renewed her life-long passion for Jazz, culminating in the completion of a CD that she recorded live at Bennetts Lane Jazz Club in Melbourne in May 2011, an album she self-produced, mixed and mastered in her own studio. On the eve of the longest day of the year - 23 June - Julia will be a vocal guest on the Midnight Sun Train - www.facebook.com/juhannusjuna - 750 km journey from Helsinki to Rovaniemi in Lapland on the Arctic Circle, in a live from the train TV music show broadcast across Europe and the internet - TV Link Worldwide - (23/6 from 2 AM AEST) - under the accompaniment of internationally acclaimed Finnish pianist and composer Iiro Rantala - www.iirorantala.fi - who has toured Australia on not less than a dozen occasions. As part of the 2012 American Songbook Series the Julia Messenger Quintet will showcase America's great songwriters - Hoagy Carmichael, Arlen and Harburg, Arthur Hamilton, Willie Nelson, Bob Dylan, Tom Waits, and Kurt Weill - and legendary singers like Peggy Lee, Roberta Flack, Patsy Cline, Etta James, Billie Holiday, Judy Garland and Nina Simone. Joining Julia Messenger in concert will be some of Melbourne's finest musicians - Luke Howard (Piano), Frank Di Sario (Bass), Danny Farugga (Drums), James Sherlock (Guitar - Friday) and Ben Hauptmann (Guitar - Saturday).